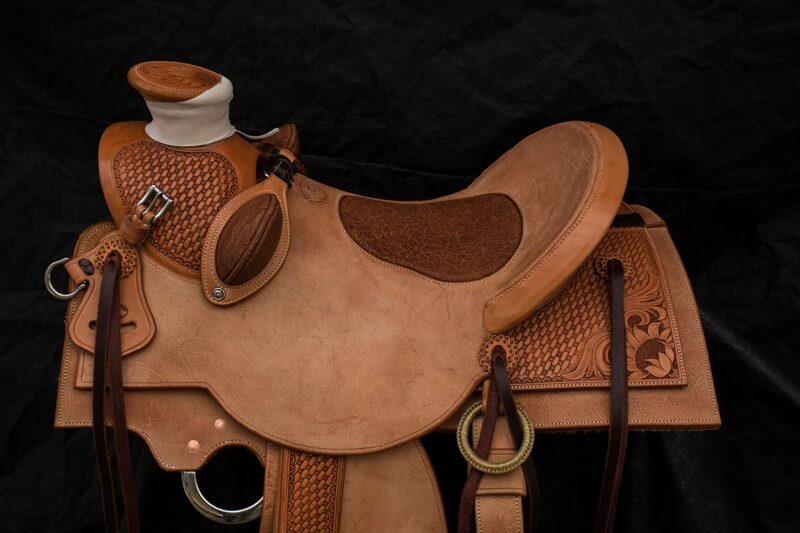 Here is the latest project out of the shop this winter. 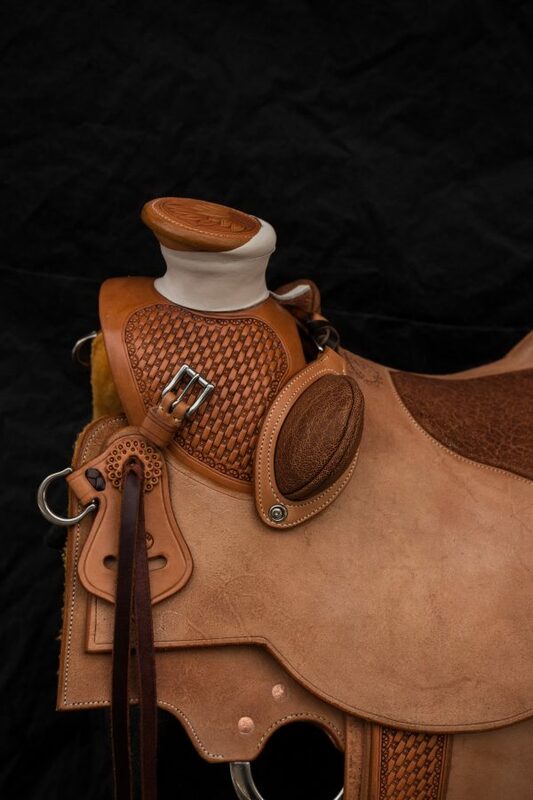 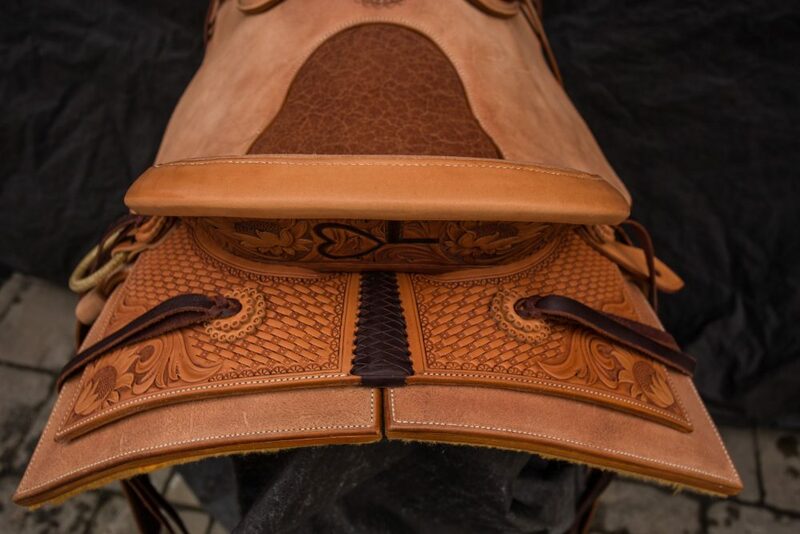 Richie will use this saddle in northern Montana for his ranch work. 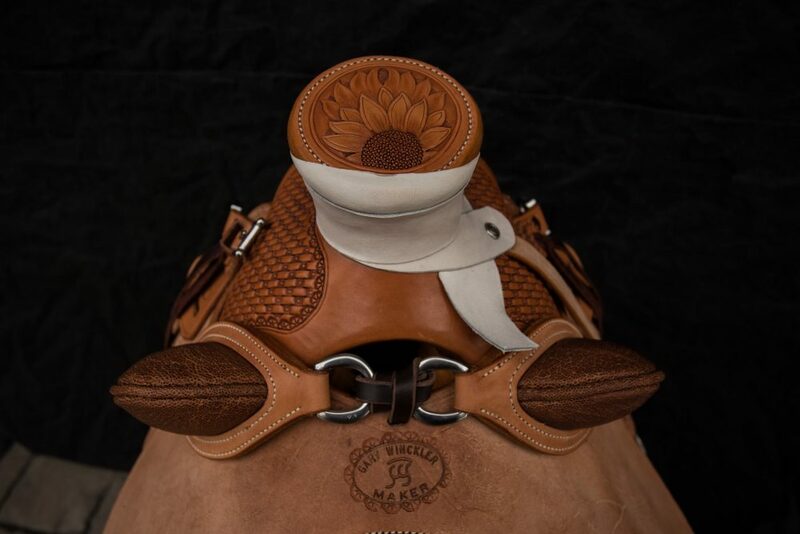 The saddle features a Wade tree by Dusty Smith with a 8″ swell, and 4 1/2″ x 12″ cantle set at 40 degrees. 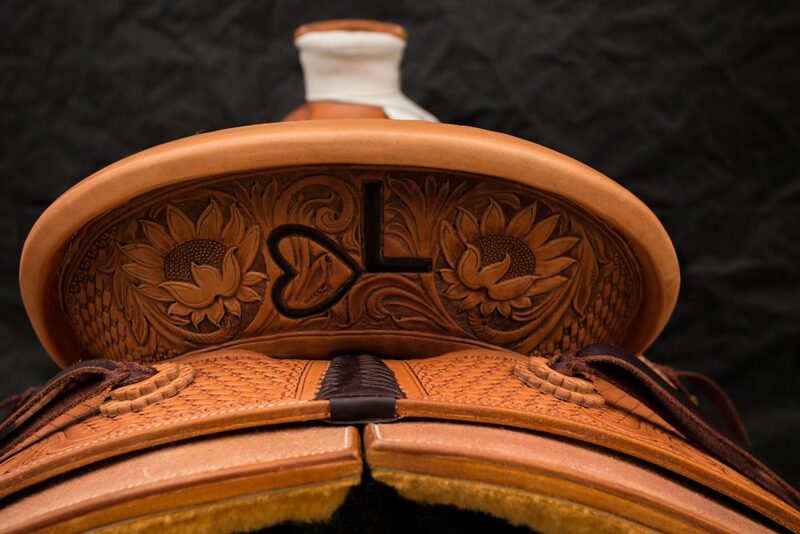 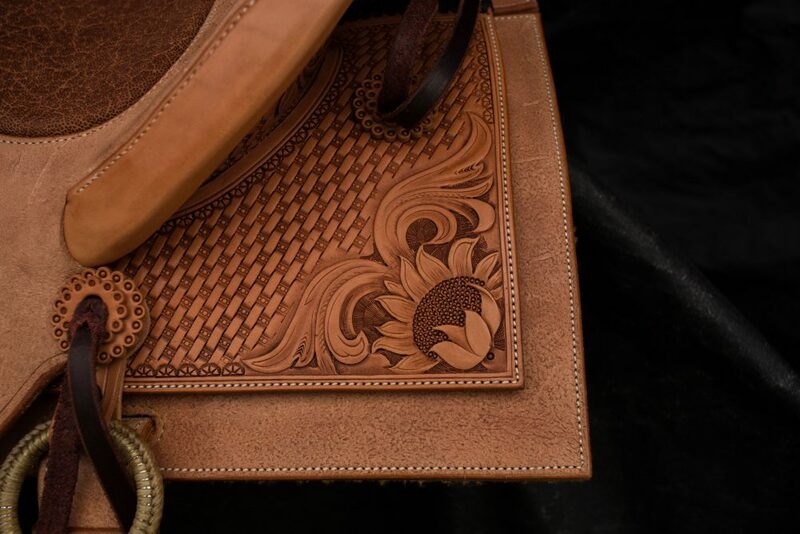 The back of the cantle features his brand encased in sunflowers and floral scrolls. 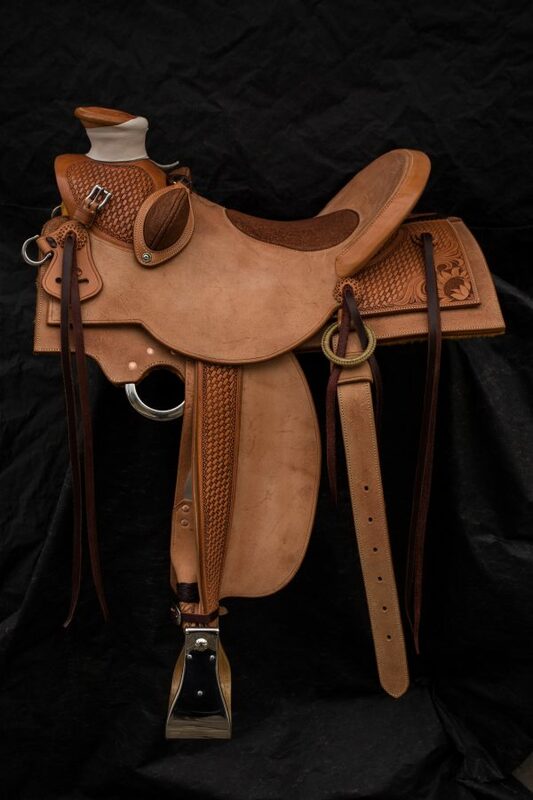 Just in time for calving season Richie!